You’ve probably seen the statistic a few times over the last few years. An increasing number of people online are using mobile devices rather than desktop devices to access the web. That number surpassed 50% back in 2016 for the first time, and you can bet it’s going to keep rising. After all, there are a ton of conveniences inherent in a mobile platform, despite its limitations. This means reaching your mobile users in a way they understand, a method native to their platform, is more essential than ever. 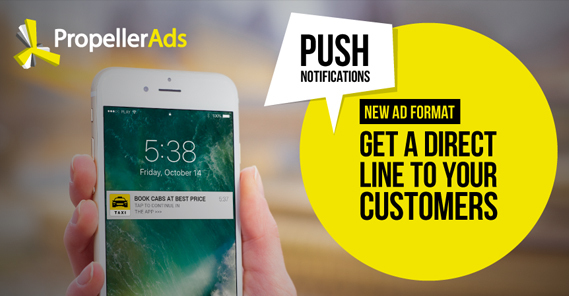 That’s why one of the newest ad formats, push notification advertising, is on the rise. The question is, are they worthwhile ads, or are they a waste of time? Push notifications are a style of notification for phones that started life on the Blackberry. Back then, they were primarily used to notify a user when an email was coming in, so they could respond in a timely fashion. This was unprecedented convenience for the business traveler on the go. These days, push notifications are inherent in pretty much every app on every mobile device. Blackberry may be more or less dead, but this part of their legacy lives on in both iOS and Android devices. A push notification is, simply put, a notification an app pushes to the front of the screen. If your phone is locked, push notifications often appear on the lock screen, though not always. Phone users can choose whether or not to display information like that on their lock screen, as a privacy feature. If you’re in an app, a push notification generally appears as a drop-down window from the top of the screen. You can interact with it there, which may allow you to take brief actions – such as answering or cancelling a call – or will take you into the relevant app. If you don’t interact with the push notification immediately, it typically turns into an icon related to the app that sent it and hovers in the top infobar on your phone until you swipe down to engage with it or clear it. Part of the power of push notifications is that the app that sends them does not have to be open, it just has to be installed on the device. It’s not like browser-based advertising, where the user is immune if they don’t have their browser opened. Push notifications only require the app to exist on the device to operate. Email apps can send you a push notification when a new important email arrives. Games can send a push notification to let you know about a new update. Calendars can send push notifications to alert you to upcoming events or meetings. News apps can send you push notifications for breaking local news. Weather apps can send push notifications with weather advisories. Bank apps can send you alerts, such as when a deposit is made or when an overdraft occurs. Airline apps can show you a push notification for flight delays or cancellations. Pretty much any purpose an app can have, a push notification can be used to get your attention. That’s their primary power, after all; capturing a few seconds of attention, pretty much regardless of what you’re doing at the time. Very few apps will so totally control a phone that they prevent push notifications from appearing. Games may be interrupted, full screen videos will still show it, and other apps don’t take that level of control over the display. In fact, the only way to prevent push notifications is a system-wide or system-based setting. 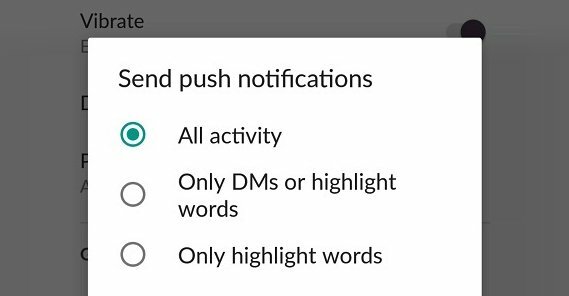 In Android, for example, you can control each app’s ability to send push notifications from the system settings, though many apps also have the option in their own settings menus as well. First up, push notifications are generally enabled by default. Any user who is using an app usually has to manually disable push notifications if they don’t want to see them. Very few people block all push notifications, simply because they are often so useful to have. Secondly and perhaps most importantly, push notifications are opt-in already. Your audience is pre-qualified, in that the only people who receive push notifications are people who already have an app installed willingly. You aren’t foisting some advertising on someone who doesn’t want to see it. It’s almost more like mailing list marketing with an opt-in pre-screening your audience. Not all push notifications come from apps. Or, well, that’s not technically accurate. Marketing push notifications come from an app, but the app is the browser used on the phone. 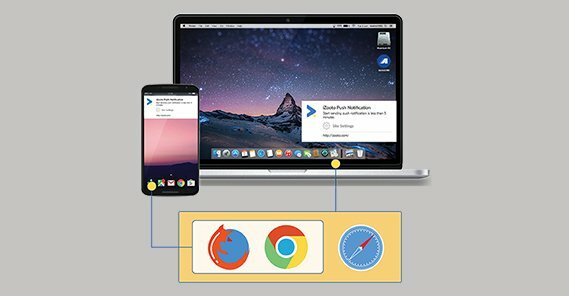 Browser-based push notifications come from websites when a user opts into receiving them. Even then, it’s still an opt-in for marketing messages, not an unwanted advertisement in a platform they didn’t want to see it in. Push notifications can also work on desktop platforms, though they’re a bit different in that format. Web push notifications are limited to browser-based opt-ins, and don’t work if the user’s browser is closed. They’re also harder to get people to use than on mobile, simply because it’s an unfamiliar and explicitly marketing channel that many people don’t want to enable. I generally consider push notifications to be a solely mobile format, though many people use them to good effect with desktop users as well. I consider that additional audience a bonus. With mobile ads, you also don’t need to content with ad blockers quite so much. Blocking ads on a mobile device is a much larger hassle than it is on desktop platforms due to the sandboxed nature of apps in a mobile environment. This, coupled with the opt-in nature of push notifications, means audience sizes tend to be larger. There are also some unique features for push notifications hitting the market. Some businesses are using geofencing; essentially creating a zone surrounding one of their retail locations, and triggering push notification advertising only to people within that zone. Another one of the best features for push notification marketing is that they’re almost 100% bot-free. Bots aren’t using the kinds of apps or user behaviors that would even allow them to receive push notifications. Many bots that use mobile user agents are on desktops spoofing it anyway. It means a huge majority if not all of your traffic is real users. There are, of course, several potential drawbacks to using push notifications for advertising. First of all, push notification ads do not work on iOS devices, at all. This is a policy from Apple. App notifications can be used for non-marketing purposes, but using them for marketing is verboten. That’s not to say it doesn’t happen. 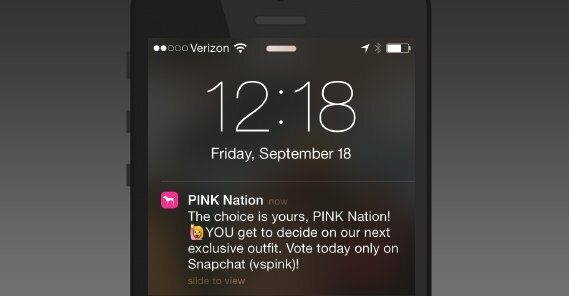 Push notification advertising happens through apps on iOS, though Apple users often report those apps and/or leave negative feedback. Consequently, iOS is not generally an option for push ad targeting on reputable platforms. Secondly, if you send too many marketing messages or otherwise abuse push notification advertising, chances are very good that your users are going to mute notifications for whatever app is sending them. Push notifications are also very short. Longer notifications get cut off, and you can’t just open a notification the way you can a text message. If you don’t hook a user with your first 10 words or so, you don’t have much more space to do it. Push notification ads also typically lead to a landing page, so your landing page needs to be very well formatted for mobile and it needs to be a natural progression from notification to landing page. How Well Do Push Ads Work? Rumor throughout the marketing world right now is that push notification advertising is the Next Big Thing. It’s relatively new, it’s relatively untouched, and thus it has relatively high click rates. The precise performance of your push ads depends on a lot of factors. The mobile ad network you choose is a big part of it; you need your ads to be showing up through useful, high quality channels, otherwise user trust will be low. Your bid is also important, as it is with any kind of paid marketing. This is where you’re likely to see the biggest change over the next couple years. Right now, depending on other factors, you can get around 1,000 clicks for a mere $5. That is, however, just clicks. 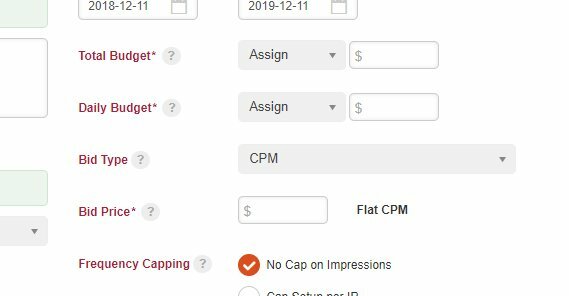 Push notification ads are almost always pay per click, so it’s up to you whether you can leverage those clicks into conversions. You need to be able to get at least enough conversions to make back the money you spent on the clicks, and that requires a high quality landing page and a compelling offer. Push notifications generally have a high open rate, though in part that’s due to their short and trivial-to-access nature. Many people are used to checking their notifications regularly, and when a few of those end up being ads, well, they still check them. Of course, the best kind of push notification marketing comes when you have your own app. Amazon can advertising sales all day long to people who have the Amazon app installed, and those users will thank them for it. Your business might not be able to develop your own app, though, so you will have to rely on notifications through other channels. 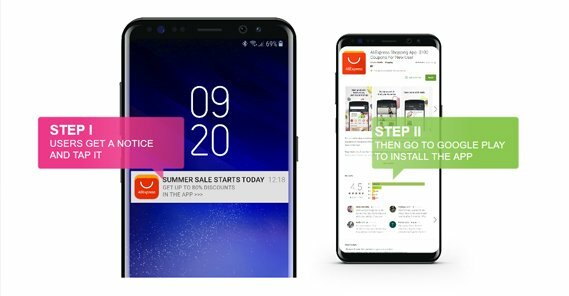 Push notification ads are a very new frontier as far as advertising is concerned, so there will likely be a lot of developments in the space over the coming years. Expect the big names to get in on it, and expect a lot of innovations still to come. Likewise, expect a growing amount of competition, increasing bids, and decreasing click rates as people grow wise to the strategy. Mobile push notification advertising is, as I said, relatively new. The tips I give you are based on limited experience, and may change as the state of the industry changes. Still, many of them are just good tips for advertising in any channel. First, keep your messaging short. Push notifications don’t do well when they’re truncated unless you’re explicitly using the truncation as a form of clickbait, and that’s likely not going to work too well. Under 10 words is ideal for your notification in general. Next, make use of symbols. Emojis are part of the native language of the mobile web, so don’t be afraid to use a few of them, so long as they’re relevant and aren’t getting in the way of your message. Crucially, don’t send too many notifications. 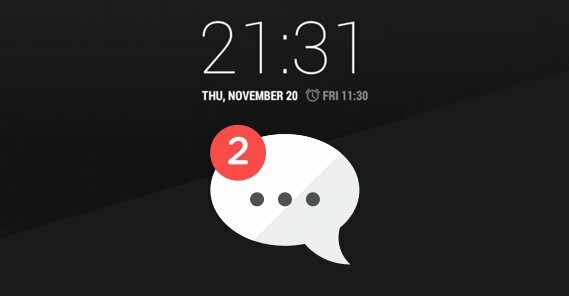 Sending more than about 3-5 notifications in a week is going to cause as much as 50% of your audience to mute notifications to avoid the advertising. It’s better to only send maybe 1-2 per week, if that. I prefer to limit them to special occasions; send a couple for a weekend sale, but don’t send a bunch leading up to the weekend. Don’t be afraid to experiment. At the end of the day, there are no hard and fast rules for push advertising yet, as it’s still a developing format. You can get in on it now and be one of the trend setters, and pave the way with your own experiments.